Whether you’re passing through Killyleagh for business or pleasure, Dufferin Coaching Inn’s award-winning B&B offers a unique retreat, providing guests with individually-decorated, spacious bedrooms served alongside Dufferin’s well-known hospitality, delicious freshly made cooked breakfasts featuring locally-sourced ingredients, and close proximity to amenities and attractions. 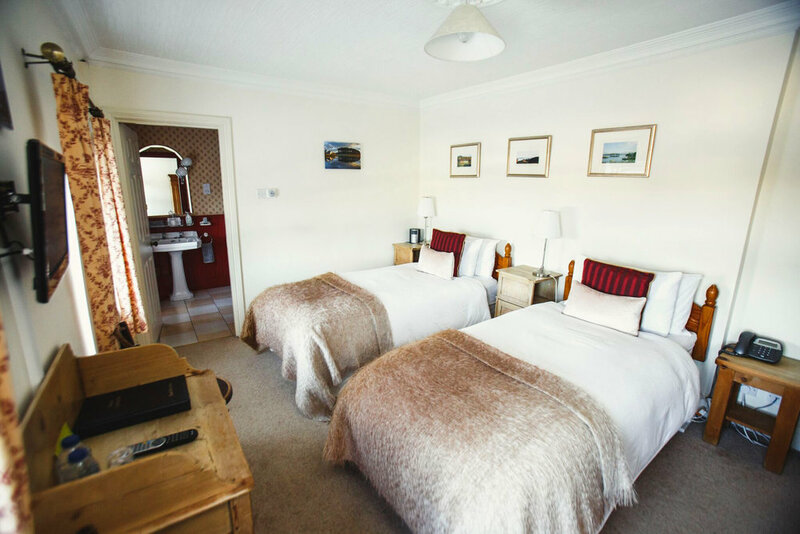 If you’re planning to retreat to your well-appointed room or take in all the breath-taking sites that Killyleagh and surrounding County Down have to offer, Dufferin Coaching Inn offers flexibility to fit your lifestyle. With on-site amenities including free Wi-Fi in all bedrooms, ensuite bathrooms, luxurious bedding on comfortable double beds, and the unique charm of a period guesthouse, visitors are encouraged to make Dufferin Coaching Inn their home from home during their stay. The most popular room for special occasions, enjoy the spacious comfort of our premier room complete with deep red wallpaper, monochrome bathroom and original window shutters as well as traditional four-poster bed and luxurious ensuite bathroom complete with whirlpool bath. 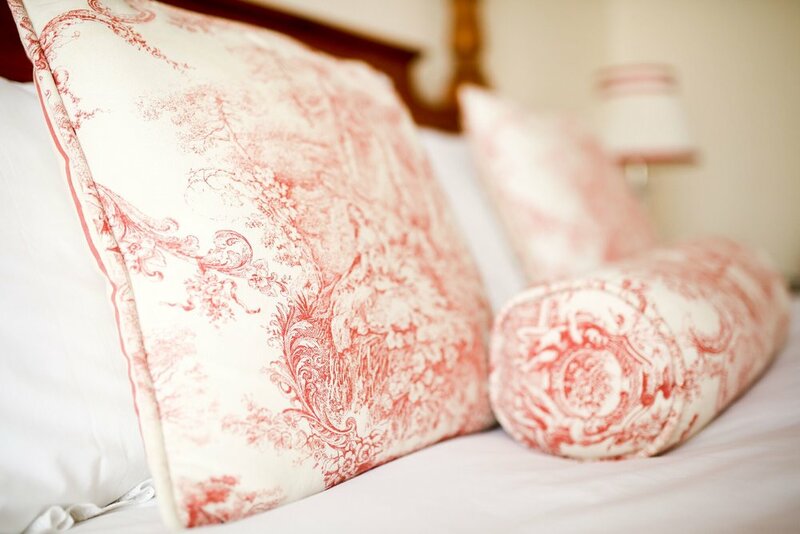 Settle in to superior large double room with king size four-poster bed, working fireplaces and ensuite bathroom. Each room is uniquely decorated with cheerful period wallpaper and original touches adding charm and character to your stay at Dufferin Coaching Inn. The bright and cheerful character of this double room’s graphic yellow striped wallpaper and contrasting navy accents as well as its adjoining private sitting room and ensuite bathroom make this the perfect home from home, offering space to spread out and relax. A quirky accommodation popular among single travelers, the ‘blue room’ features homely built-in cupboards, and a wrought iron bed set against a vintage china-patterned wallpaper and convenient in-room washing facilities available. Dufferin Coaching Inn’s twin room includes two single beds decorated in the inn’s recurring red and white theme and is perfect for travelling with a child or guests who prefer their own space to stretch out. A jewel in the crown of Dufferin Coaching Inn, this double room includes separate sitting and bedroom with an attached ensuite bathroom. The cosy four-poster bed is nestled neatly in its own nook, surrounded by muted print wallpaper while the gorgeous green bathroom mimics the surrounding countryside with its fox, deer and bird motif.